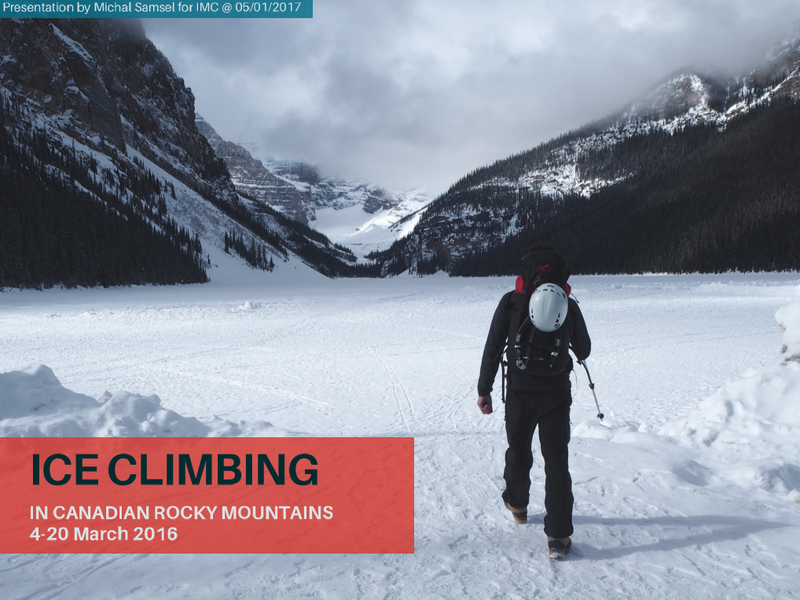 Some time ago (as in many months ago) I was asked by IMC meets people if I didn’t want to deliver a talk about the trip to the Rockies we did in March 2016. I didn’t think about it long as it might be a good idea to inspire some rock climbers to go and try ice (albeit options in Ireland are limited to 0 places). Well anyway, the day has come, or it will, on the Thu, 05.01.2017 @21.00 at the Teachers Club, 36 Parnell sq , West, Dublin, Ireland D1. Admission is free and are all welcome.